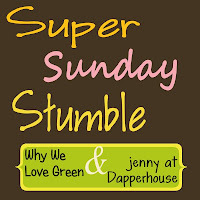 Welcome to this week's Super Sunday Stumble!! This is a GREAT way to get your Posts Stumbled! Sign up in the linky below with the post you would like Stumbled. Stumble the 3 Posts above yours in the linky. $5 Credit to Plum District for Taking a Survey! Thank You Flash Cash Giveaway (3/8)! Win $120 Cash Giveaway Sponsored by ContestChest! Make Your Own Earth-Friendly Toothpaste!